Ali Huberlie at CrossFit Boston in Brighton, Mass. “CrossFit is family, laughter, love and community,” she said. Ali Huberlie, a 27-year-old education consultant in Boston, awakens at 4:45 every morning to go to her CrossFit “box,” or gym, where she spends two hours. When she and her boyfriend, whom she met through CrossFit, went apartment-hunting, they chose a neighborhood near their box. This year, as a student at Harvard Business School, Ms. Huberlie wrote a case study about a founder of CrossFit that was incorporated into the school’s curriculum. And when Harvard Divinity School researchers were studying spaces other than churches that function as spiritual communities, they interviewed Ms. Huberlie. A for-profit gym franchise founded in 2000 that now has 13,000 licensed operators serving at least two million exercisers, CrossFit — like television, sports fandom and health fads — has become the focus of study by researchers trying to pinpoint what constitutes religiosity in America. 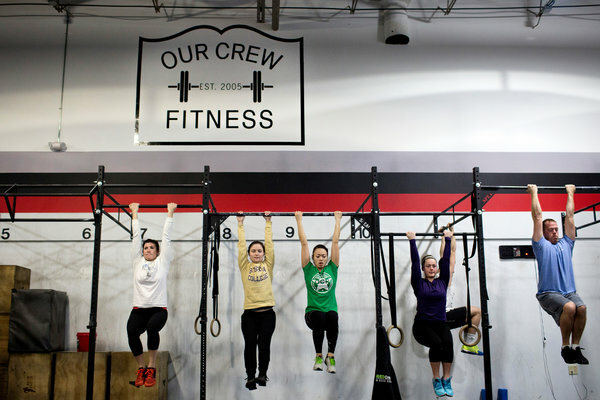 Members of CrossFit Boston at the gym. Some members compare the community aspect of CrossFit to that of church. After all, it’s surprisingly hard to say what makes a religion. Ms. Huberlie speaks about her box as others might speak about a church or synagogue community. The same is true of some 12-step program members, and devoted college-football fans. In an increasingly secular America, all sorts of activities and subcultures provide the meaning that in the past, at least as we imagine it, religious communities did. Any criteria you choose to define religion will quickly reveal its shortcomings. Is it about belief in a deity? Judaism and Christianity have that, but many varieties of Buddhism do not. Existence after death? Mormons believe in that, but plenty of liberal Protestants do not. Yet consider football. Religion scholars have noted that it brings people together in large crowds to “worship,” and has a weekly holy day and even annual holidays, like N.F.L. draft day and, of course, the Super Bowl. Casper ter Kuile and Angie Thurston, the Harvard Divinity School students who wrote “How We Gather,” were hosts of a talk this month, “CrossFit as Church? !” with Greg Glassman, co-founder of CrossFit. About 100 people attended, far more of them local CrossFit enthusiasts than ministerial students. As he spoke to the excited crowd, Mr. Glassman’s remarks at times sounded religious — “We’re the stewards of something,” he said — and salvific, even messianic. In the classic 2000 essay collection “Religion and Popular Culture in America,” scholars argued that activities as diverse as “Star Trek” fandom, dieting fads and football could all constitute religions. But if anything that creates community and engenders passionate devotion can constitute religion, does the word lose all meaning? If everything is religion, then maybe nothing is. For Joseph L. Price, who teaches religion and popular culture at Whittier College in California, the key criterion is whether a given activity establishes a worldview. Alex Larcom, left, and Ali Huberlie stretching together at CrossFit Boston. 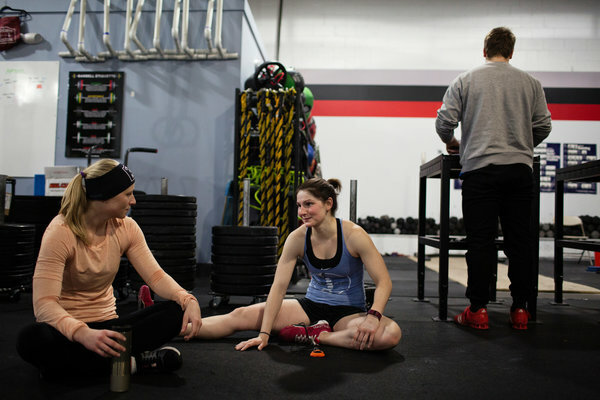 Both women met their partners through the CrossFit community. Using this logic, one can see how “Star Trek” fans, with their deep interest in science and cosmology, might qualify as religious. But members of a men’s breakfast club who meet weekly at a diner, by contrast, while they might derive great joy and comfort from their ritual, would not, by virtue of it, be religious. Of course, that is just one way of answering the question of what a religion is. At the Harvard discussion with Mr. Glassman, Mr. ter Kuile, who plans a career in ministry to the “nones,” as the religiously unaffiliated are often called, offered other criteria. 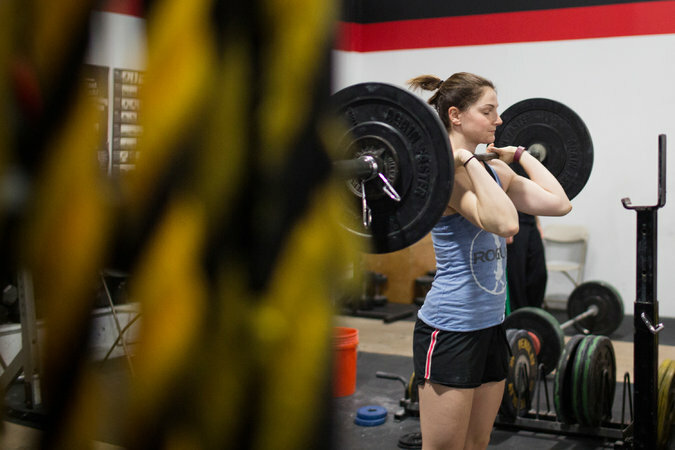 Lindsey Carfagna, a graduate student in sociology, said that CrossFit helped her find another kind of community, that of “adaptive athletes,” or those who have overcome physical challenges. Christian ministers talk about healing broken people, but it seems they would hesitate to focus on athletes, because, in Christian theology, all are fallen sinners, all are broken. Then again, groups like Athletes in Action do, in fact, focus their Christian gospel on athletes. If CrossFit is, for Ms. Carfagna, an even more specific community, one of adaptive athletes, that may not be so different. Skeptics might scoff that CrossFit is just a gym. But in an interview this week, Mr. Glassman said that for many participants it is obviously much more. Ms. Huberlie described the CrossFit experience as an intimate, supportive one, in which cheering for one another to meet fitness goals was expected. It is a culture that can produce effects more often associated with church. Watch the Amazing 160 Square Feet Home In Shipping Container.But The Inside Is Mind-Blowing!